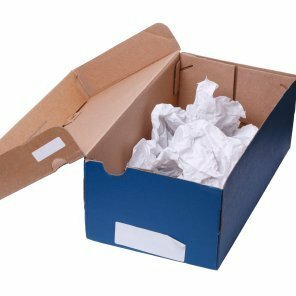 Save money and reuse your empty shoe boxes, there are so many ways you can. 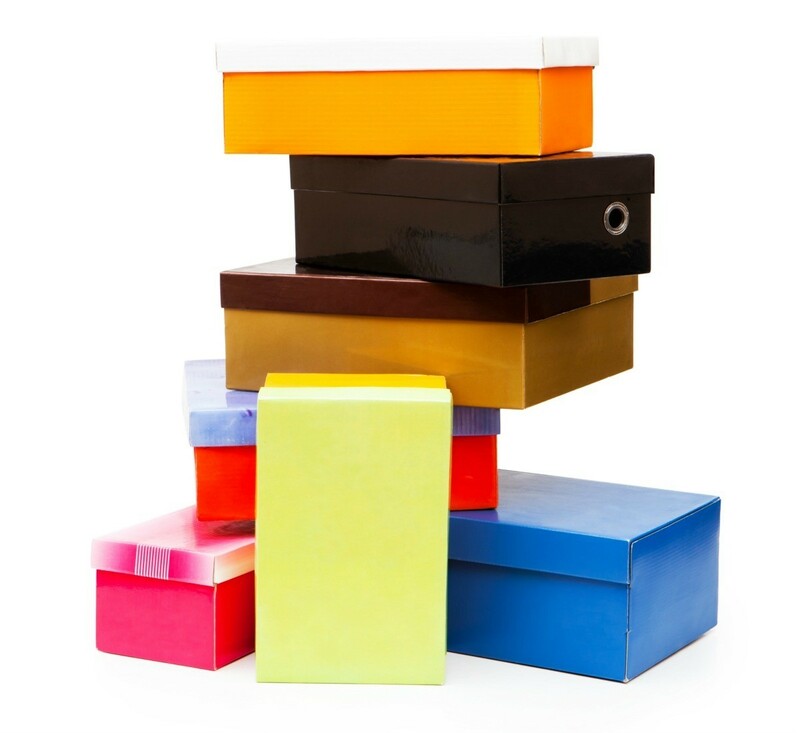 This is a guide about uses for shoe boxes. A lot of shoeboxes can be unfolded to lie flat. This helps a lot in storing the ones you haven't re-purposed yet. When you re-fold it, do it so it is inside out. Then it makes a very good mailing box as you can just write the address on the box then tape it up securely to go through the mail. I also re-fold them inside out to use as storage for craft items like fabric paint etc. Here's an extra "box" hint. I cut the boxes that bath soap comes in (like Dove or Caress) in half, then fill up the bottom of a shoebox with the half-boxes. Each box will hold two Scribbles bottles upside down. This helps preserve the paint in the bottles for years as any dried paint will be on the other end so it won't affect being able to squeeze it out of the tip. I've used some that are over 5 years old! 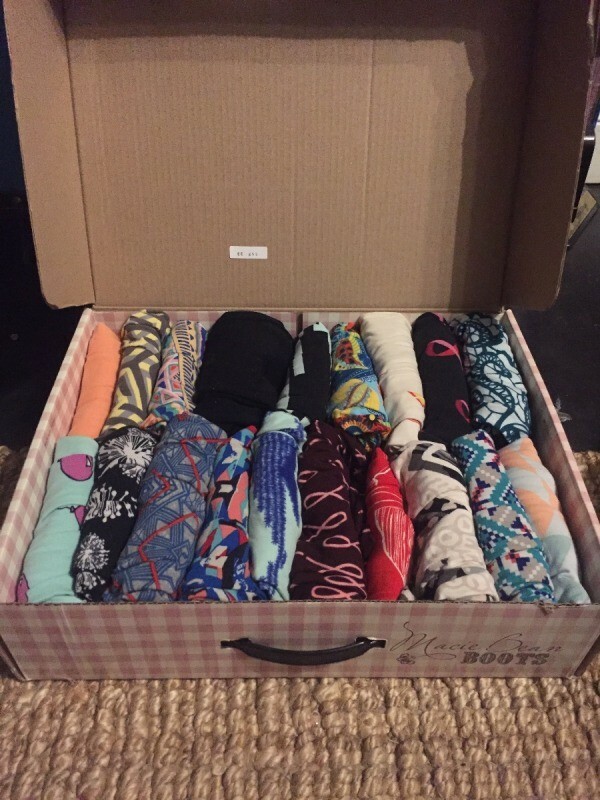 I have tons of leggings and I found out that the easiest way to keep them clean and stored out of sight is to put them in a shoe box. I can still see every pair and they stay organized and nice! I never know what do with items like Product Instruction booklets, extra cable cords, and CD inserts. I found a solution. Instead of buying the pricey plastic boxes, I use shoe boxes. 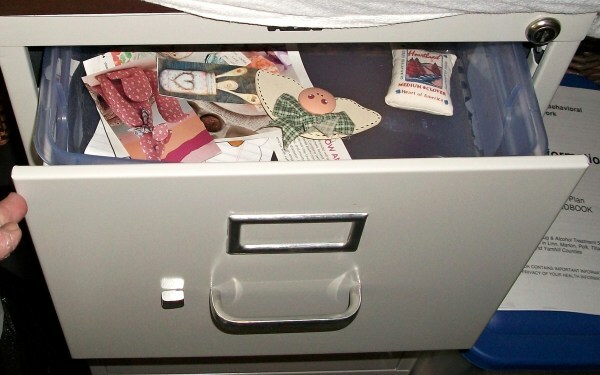 I load items from each category into the shoebox, label them and put them at the top of my coat closet. I keep Instruction Manuals in larger tennis shoe boxes, cable cords and the like in a smaller shoe box. I have custom sized boxes. They stack well and since they're items we rarely use but always have to keep around they're not taking up valuable kitchen or entertainment center space. Source: Just something I do! I keep my embroidery floss skeins (also known as stranded cotton) organised by colour, then number, in shoe boxes. Inside the shoe boxes, I have dividers made from cardboard I've recycled (shirt inserts, soda cartons, boxes, even an egg carton or two, lol) with a sticky label showing the number of the floss in that compartment. For example, I use DMC floss almost exclusively, but sometimes run into lovely Anchor flosses in the second hand shops, so I store the two together in the same colour shades with both numbers on the label. This makes it very easy to find what I'm looking for, and to make substitutions if needed. On the lid of the shoe box, I have a copy of the conversion chart so that no matter what project I am making I can find the right shades of floss to embroider the project. Both types of boxes stack nicely, and the plastic boxes have the added advantage of showing the colours inside at a quick glance. The stacked boxes keep my workroom tidy, the threads and yarns dust free, and add a bit of frugal, homey colour to the room. Most needleworkers have a preferred way of organising colours while working a project, mine is to wind the strands from an opened skein onto a small rectangle cut from the recycled cardboard stash. I make sure the rectangles are of a size to fit back into the main storage boxes in the correct compartment after I'm finished with the project. You never know when those last 18 inches of floss or yarn will come in handy! Depending on the size of the project, I keep the materials and the work-in-progress in either a recycled plastic bag (zipper styles, bed linen bags, or even a grocery bag), or a woven basket. If the project is small enough, the zip style bag makes it portable. I use a mini-scissor pair, and have everything I need while waiting at the dentist, etc. BTW, I do the same with my crochet yarns, too, using plastic boxes, zip bags, and a lovely wicker basket for the home project. I love having my workroom organised so that I can go right to the material I'm looking for. Save old shoe boxes and paint them to match your decor. You can have your children paint them with fun designs and notes. Either way, they look great and they are much cheaper compared to store bought boxes and baskets. Well, I was reading all the different ways to use old shoe boxes and thought of one myself. I have collected all these shoe boxes because I just can't see throwing out a perfectly good box that could be used for many other things. I recently moved. I was VERY disorganized but am getting better. The one thing I found out is that Target stores are more then happy to let you have empty shoe boxes. I drove my family nuts I had shoes boxes all over. I save shoe boxes so that when I have something to store papers, such as hand written recipes, letters, etc. I use them for small items that I don't use on a daily basis, but don't want to get rid of. Use shoe boxes and other similar size boxes to make large building blocks for your kids. Tape the lid of the box on and then cover them with contact paper. You can even find contact paper with a brick or wood pattern on it. My daughter found this video on youtube. It is about how to turn a shoebox lid into a locker organizer with duct tape, a glue gun, and some small wine cork. Later in the video, she utilizes a small water bottle with the top cut off and decorated with duct tape to hold pencils and pens with. She also uses a decorated soap box to hold a hair brush. I really was interested in the corks, a lot of them, glued close together that made a bulletin board. Also, she put stick on magnets on the back, the kind that are sold to put on the back of business cards, she covered the back entirely with those, and also she showed how to cut a wire hanger and duct tape the top part of it on the back of the box. She then turned the hook of the hanger around where it would fit in her locker if she wanted to hang it up. I thought it was a great idea in repurposing a shoebox lid, and it fits in the lockers of the children at school. It could be used at home though, for organizing many different things. 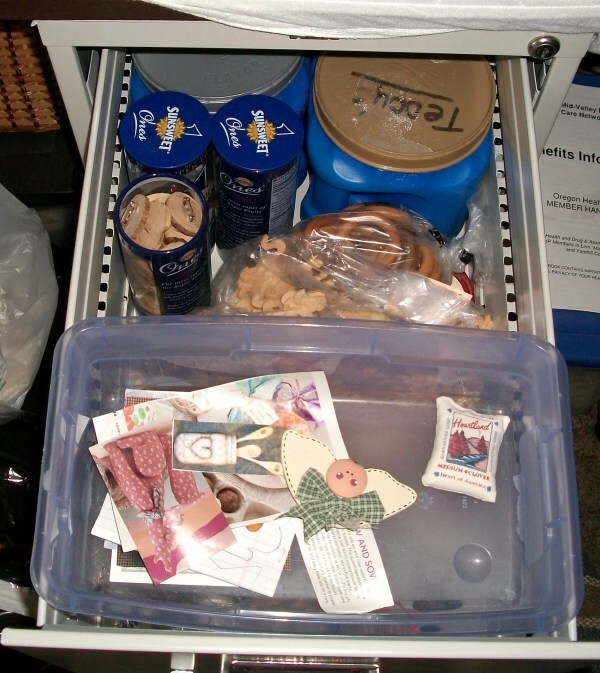 I am already thinking about a sewing kit. I have about 10 empty shoe boxes. I know that organizations use them to send to our war fighters. Please help me find a good use for my boxes. If it was me I'd put a free ad online or in a local newspaper if anyone wanted to collect them for using in a shoebox charity appeal. I know that churches, scout groups, and schools are supporting those kinds of charities so if you could mention it to them too. We used shoe boxes to send Christmas boxes to children overseas through BMMI (Baptists). Franklin Graham's organization also sends Christmas shoe boxes to children. So I'd check with a local church to see if they need them. The organizations are getting pretty particular about the size and shape though, to aid in packing thousands for shipping. I am just in love with decoupage. I think you should decoupage them and use them around the house. If you don't know what decoupage is just Google it and you'll get a bunch of hits. I was setting this shoe box on my open craft file cabinet drawer, and I accidentally put something heavy inside the box, and it fit right in! Imagine my surprise when it not only fit but closed! Accidents that make our life easier, is there anything cooler? From storage to crafts, shoeboxes can used for all sorts of things. If you can get them for free, even better! This is a guide about getting free shoe boxes. Ideas for reusing shoes boxes. Post your ideas. I collect shoe boxes to store different craft items. But to give these boxes a neater look I wrap them up with light colored wall paper samples. This gives the boxes an expensive look and at the same time makes my craft shelves look neater. When I was a child many many years ago I kept my baseball cards in shoe boxes, one for each year. Today I use shoe boxes to pack away and store last year's flower seeds. I have also been known to use a shoe box to file away my winter gloves. I slide empty shoe boxes into drawers to organize undies, socks, etc.